In Portugal, kidney transplant peaked numbers in 2008. When the country boasted one of the highest transplant rates in Europe. Since then, and for several different reasons, transplant numbers have fallen. Upon our leadership, Business Sweden hosted a “SymbioCare” workshop June entitled ‘Live Donation & Transplant’ aimed at creating a joint plan to bring those numbers back up – putting a high focus on living donor transplantation. “SymbioCare” is a Swedish healthcare initiative to create a platform which unites public, private and social players towards creating the framework for a sustainable healthcare system. 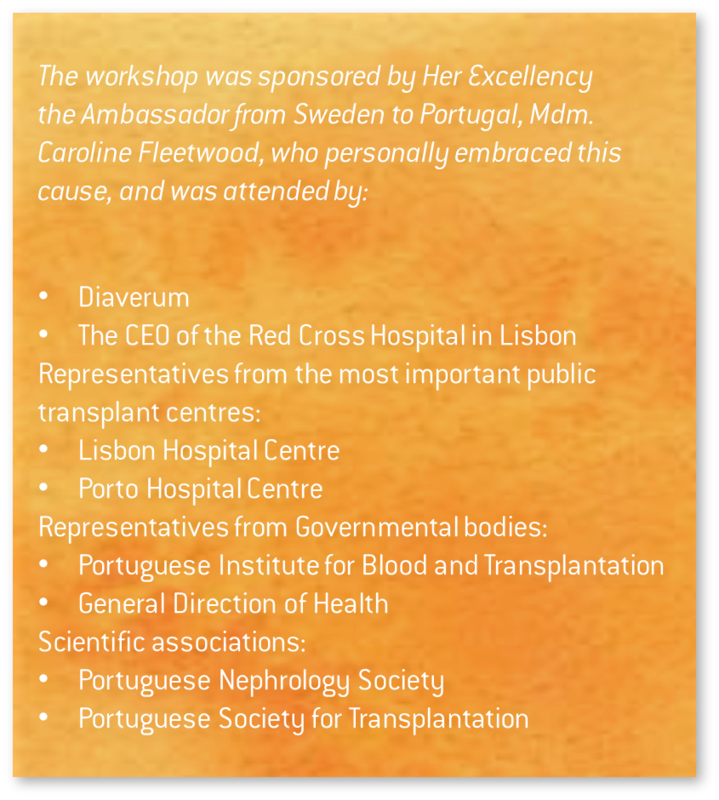 Holding a very hands-on workshop with the major actors in transplant – look at the fact box to see who joine d the mission -was the kick-off. The workshop discussion focused on the importance of cooperating in education programmes for health professionals, facilitation of transplant and living donation and ease of access to the pre and post-donation stages (consultations, complimentary exams, medication follow-up, etc.). As a result, a white paper with recommendations and future joint-actions was created for the Minister of Health. We stick to it!